The international journal «Control Systems and Computers» was founded in the Institute of Cybernetics of the Academy of Sciences of the Ukraine in 1972. The journal was founded by the National Academy of Sciences of Ukraine, the International Research and Training Center for Information Technologies and Systems of NASU and MESU, V.M. Glushkov Institute of Cybernetics of NASU and the Glushkov Fund. The journal contains original research papers in which the results of research in the theory and practice of information technology and systems, pattern thinking, knowledge processing methods and tools, economic and mathematical modeling. The journal is included in the Russian Science Citation Index (RSCI) in July 2014. 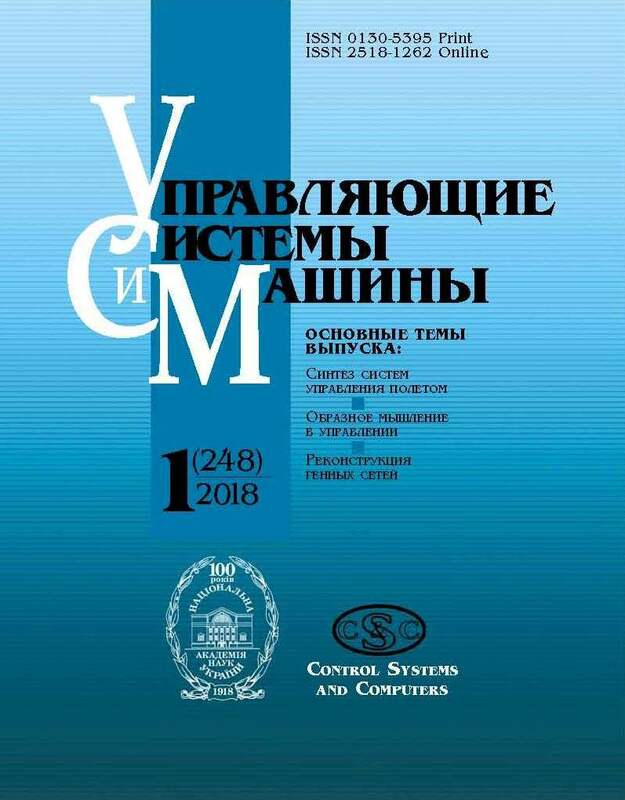 The journal is also included in the list of relevant editions of the MEN of Ukraine for physical-mathematical and technical sciences (Resolution of the Presidium of the MES of Ukraine N 528 of 12.05.2015 ). 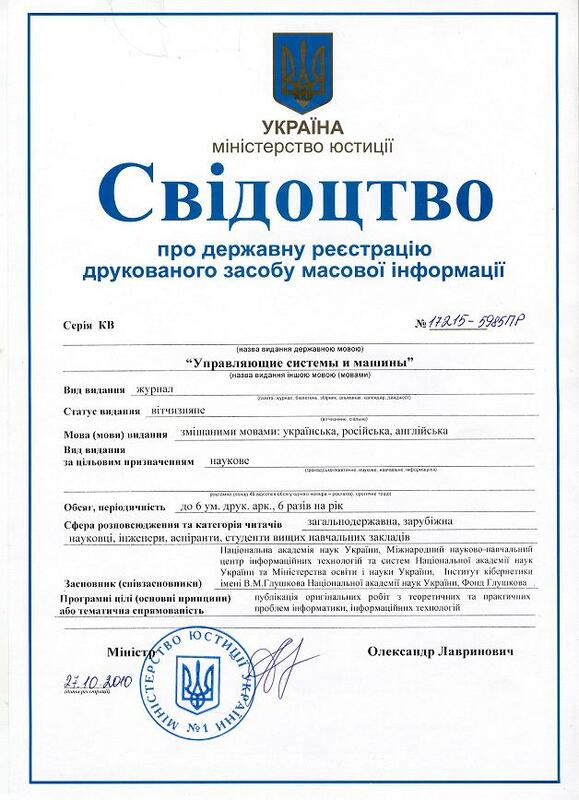 Certificate of state registration number is KV 17215 – 5985 PR from 27.10.2010. The journal is published periodically, once in 2 months. The languages of the edition are Russian, English, Ukrainian.